I remember seeing the commercials for Roundup as a little kid. When it was time to weed around my house, I asked my dad why we didn't just use Roundup to make it easier. He told me that it would get into our well and poison us. At the time, I didn't understand why our government would allow poisonous products to be sold to people. Children are so naive. Glyphosate, the active ingredient in Monsanto's Roundup herbicide is once again in the news for its allegedly detrimental effects on human health and the environment at large. Critics are apprehensive that the product is a dangerous chemical that can cause infertility or cancer, as well as fear the possibility of it speeding the growth of super weeds and causing negative changes to plants and soil. 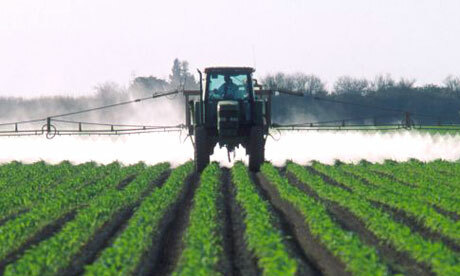 Monsanto's chemical has been touted as a safe part of food production since 1974. The controversial global company has made billions of dollars from Roundup as well as from the "Roundup Ready" corn, soybeans and cotton the company has genetically engineered to survive dousings of glyphosate. It is the most widely used herbicide in the U.S. Glyphosate is now at a crossroads with regulators in the United States and Canada conducting a formal review of glyphosate's safety, even as lawsuits are pending and some groups are calling for a global ban. This is not the first time Monsanto has received bad press (and certainly not the last). In 1996, Monsanto was accused of false and misleading advertising of glyphosate products, resulting in a law suit by the New York State attorney general. Based on their investigation, the Attorney General's office felt that Monsanto's advertising inaccurately portrayed glyphosate-containing products as safe and as not causing any harmful effects to people or the environment. According to the state, the ads also implied that the risks of products such as Roundup are the same as those of the active ingredient, glyphosate, and do not take into account the possible risks associated with the product's other ingredients. As part of the agreement, Monsanto agreed to discontinue the use of terms such as "biodegradable" and "environmentally friendly" in all advertising of glyphosate-containing products in New York state and to pay $50,000 toward the state's costs of pursuing the case. The Attorney General had been challenging the ads since 1991. Environmental and consumer rights campaigners brought a case in France in 2001 for presenting Roundup as biodegradable and claiming that it left the soil clean after use. 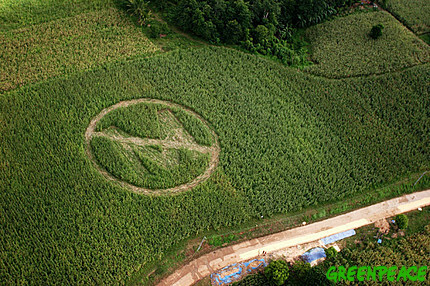 In January 2007, Monsanto was convicted of false advertising. Another recent lawsuit was filed on March 29, 2011 in U.S. Federal Court, which seeks to invalidate Monsanto’s patents on genetically modified seeds and to prohibit the company from suing those whose crops become genetically contaminated. The Public Patent Foundation (PUBPAT) filed suit on behalf of 270,000 people from sixty organic and sustainable businesses and trade associations, including thousands of certified-organic farmers. In Organic Seed Growers and Trade Association, et al. v. Monsanto, et al. (U.S. District Court, Southern District of New York, Case No. 11 CIV 2163), PUBPAT details the invalidity of any patent that poisons people and the environment, and that is not useful to society, two hallmarks of U.S. patent law.